This is the Met’s first radio broadcast of Verdi’s magnificent opera. The company had not performed the work since the 1920s when Rudolf Bing opened his first season as general manager with it, five days before this performance. The production introduced two spectacular new singers to New York: Cesare Siepi (King Philip) and Fedora Barbieri (Eboli). 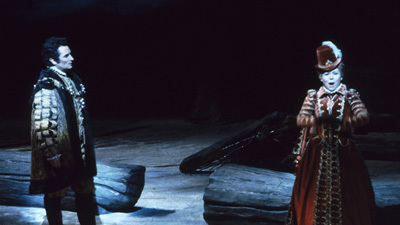 Add Jussi Björling in the title role and Robert Merrill as his friend, Rodrigo, and it’s easy to see why this now legendary cast thrilled audiences—and why Don Carlo has since become a staple of the Met repertoire.